Welcome to the 10th Mtn All State Marching Band Home Page! We are a Civilian Patriotic Ceremonial Military Marching Band founded to recognize the U.S. Army's WWII 10th Mountain Division and the great State of Colorado! We are forming an 80 to 125 member marching band with Colorado's finest brass, woodwind and percussion musicians. This is to be a 200+ member composite band drawn up from college students or young adults from all over the State of Colorado! Your experience in your high school and college or military marching bands will be of great value to this organization! 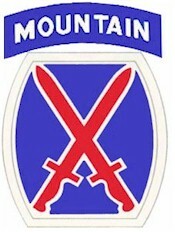 The 10th Mountain All State Marching Band will uphold the highest standards of military tradition and protocol. It is certain to be the only one of its kind in the U.S.! 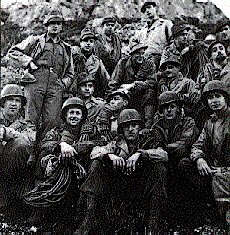 Our inaugural year will be dedicated to all those who served in the US Army's WWII 10th Mountain Division. Their service, contribution and sacrifice deserve a place of honor in the history of our state! 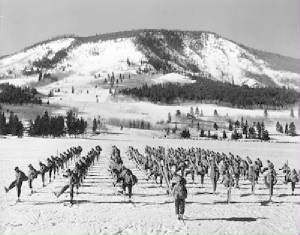 To bring recognition to the U.S. Army's 10th Mountain Division of WWII and the Great State of Colorado by participating in parades and patriotic events through out the state. Here's you chance to honor Veterans past and present by being a part of the elite 10th Mtn All State Marching Band! Now... you can be member of a military band without being in the the military!